Smartphones and tablet computers are transforming the traveller experience. A new report – “The always-connected traveller: How mobile will transform the future of air travel” – by Amadeus, explains how the way travellers interact with the airline industry, as well as travel and tourism in general, is about to change. One hardly surprising finding from the study is that social media is having a major impact on all parts of the travel life cycle. 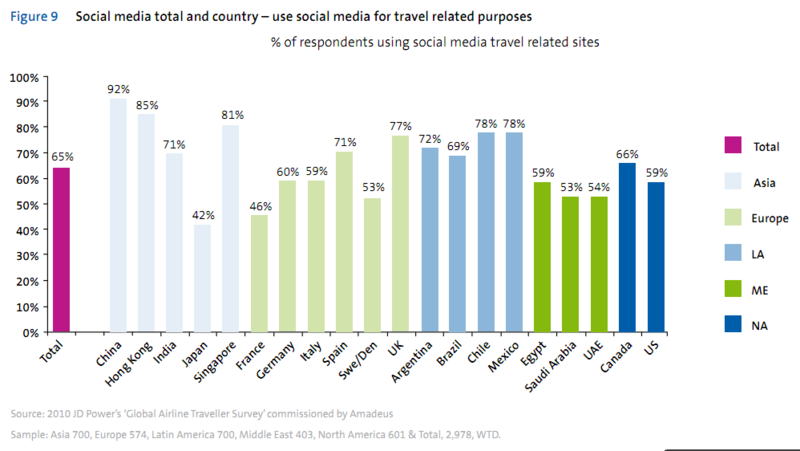 A majority of the respondents in a survey commissioned by Amadeus use social media for travel related purposes. In Sweden and Denmark, 53% of respondents report that they use social media related travel sites. Depending on how that question was asked, I wouldn’t be surprised to see that the overall use of social media during travel is much higher. Other surveys show that as many as 48% of Swedes use Facebook during vacation. Read the entire report below. Follow my travel blog at hanskullin.se.